A mobile point of sale – or mPOS, isn’t something that’s just for high street retailers, and its more than a fad, techy gadget. It’s a solution that’s potentially going to revolutionise retail, especially charity retail. I know, we’ve heard it all before, charity retail is facing a revolution. It sounds gimmicky and may have some people cringing, but its true. Never has charity retail been so in line with the high street, and the potential to become omnichannel so obtainable. Charities understand that consumer demands are changing and it’s something they are striving to meet. Charities need supporters more than ever, they depend on donations and shoppers to raise funds for their causes. This is why we’ve seen many charities opening more specialist stores, and it’s not just national charities. Hospice retailers are leading the way with specialist stores, and the way shops look and feel plays a massive part in the way they are set up. Both Wakefield Hospice and Lindsey Lodge hospice have boutique stores, in the Ridings Shopping Centre, Wakefield and Messingham High Street, Lincolnshire, respectively. These hospice retailers have taken huge strides towards becoming true multichannel retailers and getting to the crux of what their market truly wants. But what about those wanting to take their retail operations further? You’ve got the snazzy shop, great location, fantastic donations but your till just isn’t up to scratch, limiting your capabilities to run your stores efficiently. mPOS is the answer. Do charities need a mobile point of sale solution? Absolutely. Designed to act as a portable till that charity retailers can use anywhere whether in store, in the donation sorting room, or offsite at events and fundraisers. As charity retailers become increasingly tech-wise, mPOS technology can be a powerful addition to shops, extending existing services, letting you sell away from the counter and paves the way to you adding improved functionality. Future-proofing your hardware with mPOS provides the flexibility charities need to embrace omnichannel retail and meet the ever-changing consumer demands, saving space at the counter for serving customers. A true mPOS solution isn’t a consumer tablet, it’s a modern piece of retail hardware that’s designed to last more than 12 months and has the capacity to include all the functionality of a fixed till – at a lower cost. Many charities run fundraising events away from the store, so having a mobile point of sale means you can pick up your till and take it with you; especially if you’ve got the portable scanners and desktop printer. This is a fantastic way of ensuring you don’t miss out on sales or signing new Gift Aid donors. Going mobile not only lets charities trade away from the counter, it becomes a versatile solution that lets you sign-up new Gift Aid donors anywhere. If a supporter comes in with a few bags of clothes, un-dock your mobile POS and take it to them so you can capture their details as they are bringing their donations from the car – it saves them time and means you can gain that extra 25% Gift Aid on everything they donate. Electronic Donor Sign-up can take less than a minute to complete, it’s accurate and complies with HMRC guidelines and GDPR – that’s a tick in the box for your charity. It also removed the paper trail, meaning your shops can save on paper and filing space. If you have a store that’s always busy, then mPOS lets you create a ‘donation station’ where donors can come in and sign-up to Gift Aid when they drop their bags or returning donors can scan their unique donor ID barcode. 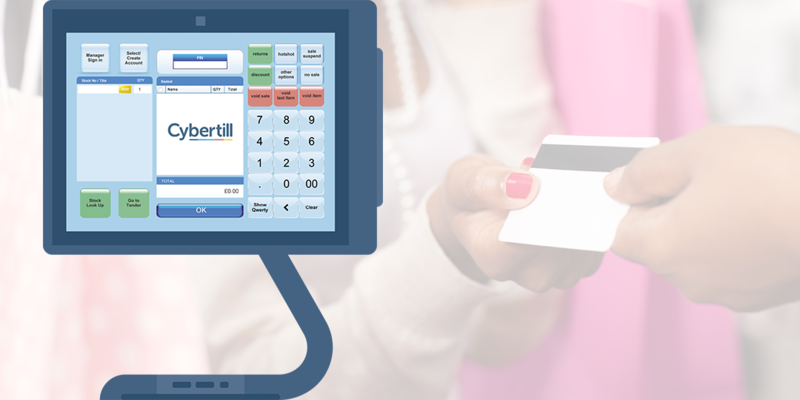 This is perfect for donors in a hurry and frees up the time waiting in line to be served, meaning your staff and volunteers can spend time serving customers at the till, again, meaning you never miss a sale – perfect! Why should charity retailers use mPOS? Ready to save time, space and money with mPOS? Download the free Mobile POS for Charity Retail guide here. Home/Resources / mPOS: the next big thing in charity retail?